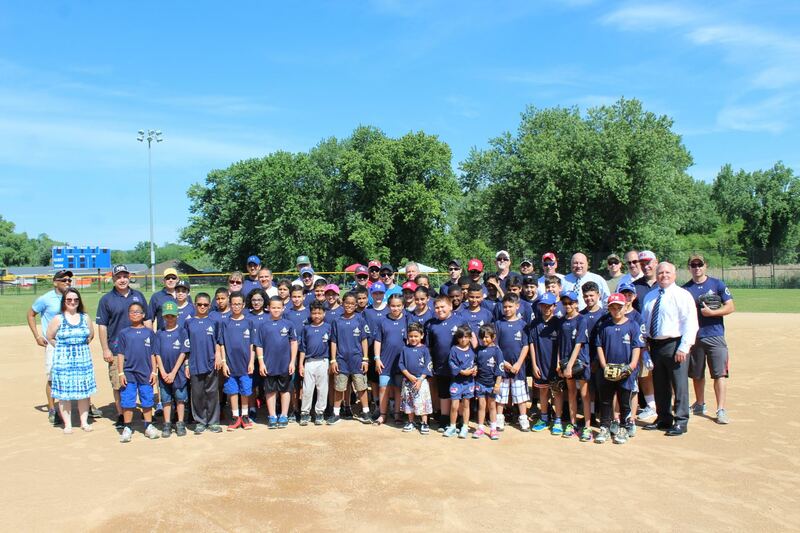 On Sunday, June 11 the Haverstraw Police Athletic League hosted the Cal Ripken, Sr. Foundation Badges for Baseball clinic, co-sponsored by the Town of Haverstraw and SUEZ Foundation. This is a program where Town of Haverstraw police officers and other law enforcement officials are matched with local youth for a sports clinic. Using baseball and other team sports, law enforcement officers become the coaches and mentors. On Sunday, the youth went to different stations at the Corporal Manny Lopez Memorial Baseball Field to be instructed and mentored by officers from the Haverstraw Town Police Department, Haverstraw Town K-9 Unit, United States Marshals, Rockland County Sheriff’s Department Bomb Dog and Rockland County Sheriff’s Mounted Unit. The Cal Ripken, Sr. Foundation Badges for Baseball program helps build lasting relationships with law enforcement professionals and after the clinic, participants went to a barbeque at Bowline Point Park.